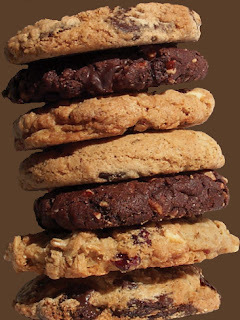 In this post, find a complied list of various jQuery cookie plugins. These plugins are having features like add/delete cookies, creating JSON cookies and if your website is using cookies then you can also show a top/bottom bar with message about "cookies" and with accept/decline cookie button. jquery.cookie is a simple, lightweight jQuery plugin for reading, writing and deleting cookies. Dough is an easy to use cookie plugin for jQuery with powerful features. Dough can auto set your domain name with ‘.’ prefix so your cookies work with subdomains and will allow you to easily go from local to staging to product servers with out a problem. it also provides support for creating JSON cookies. CookieGuard is a jQuery library plugin that helps site owners comply with the new legislation by alerting visitors to cookies used, explaining what they do and giving them the opportunity to block non-essential cookies. This plugin allows you to store any data that can be represented via JSON. This means that you can store objects, arrays, strings, numbers, and booleans and get the data back exactly as you expect (standard cookie size limitations of 4K still exist). Cookie cutter is another plugin like jQuery CookieBar plugin which also creates a small bar at the top of website with a short message about cookies and accept and decline buttons. Drop-in jQuery plugin for implied consent to the EU Cookie directive (UK implementation). Zebra_Cookie, an extremely small jQuery plugin for writing, reading and deleting cookies. It is extremely small with around 500 bytes when minified is probably the smallest and most optimized jQuery plugin for handling cookies. Hope you find this list useful!! !